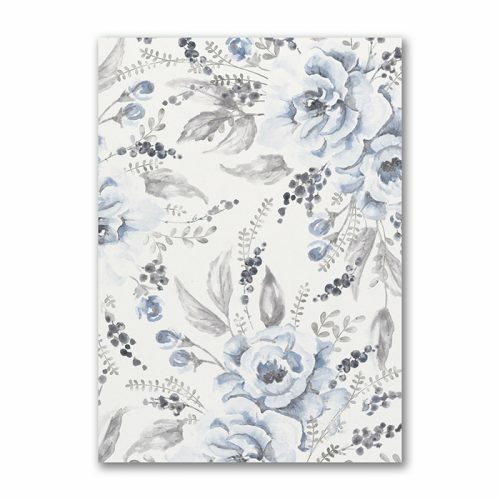 Our Soft Floral invitation starts as a 350gsm thick, crisp white invitation card, it is then printed with a ethereal floral design in soft blue hues. 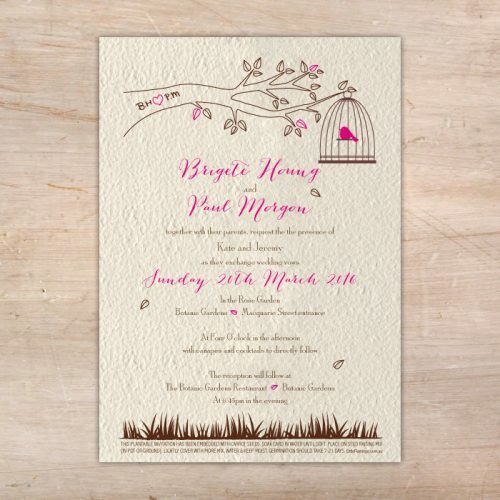 On one side, invitation wording is printed in your selection of up to 2 flat ink colours and font styles. 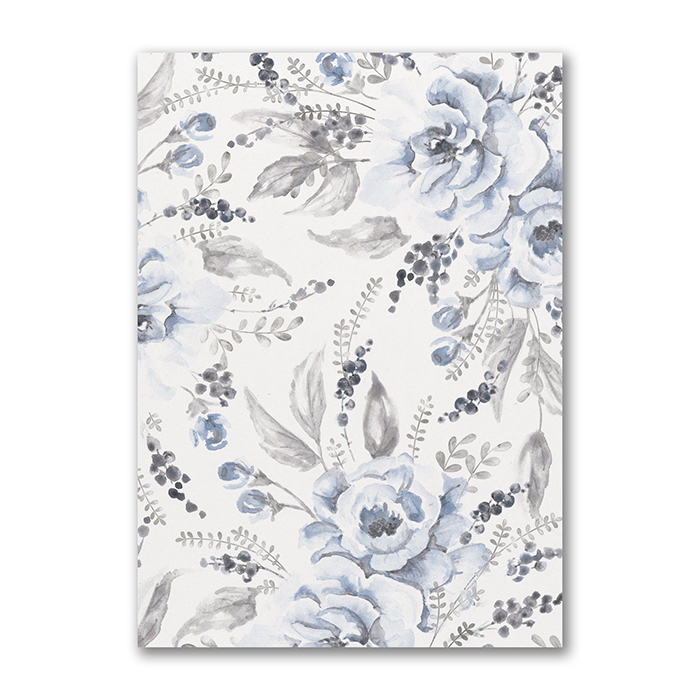 A soft blue floral design is then printed over the back of each invitation to tie in the theme. Each invitation can also be printed with your guest name/s and comes with a blank white envelope. 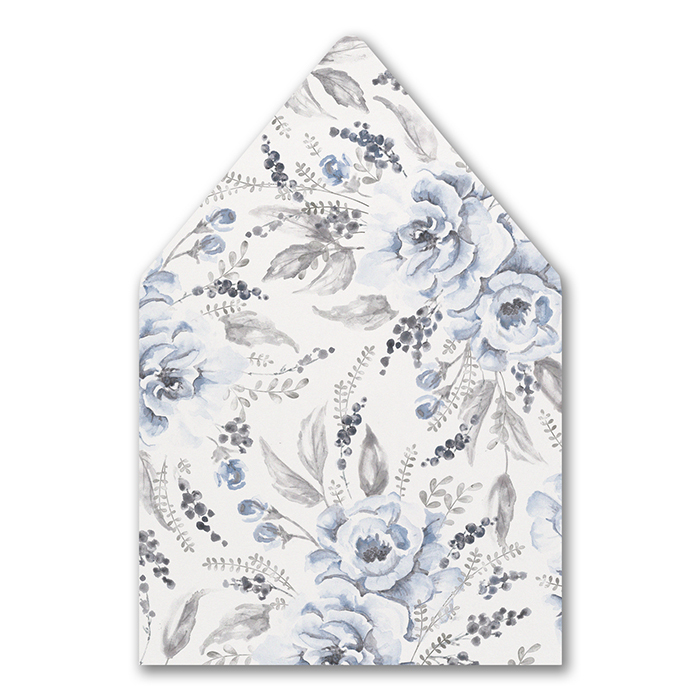 Matching envelope liners are also available to complete your invitation suite. 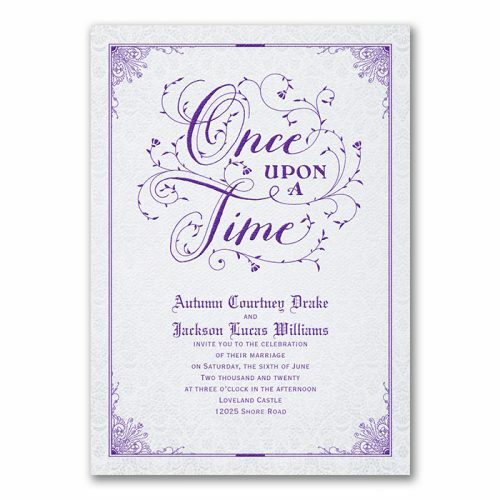 Invitation images show Platinum + Periwinkle inks with font styles Handle Oldstyle + Brunella Script. 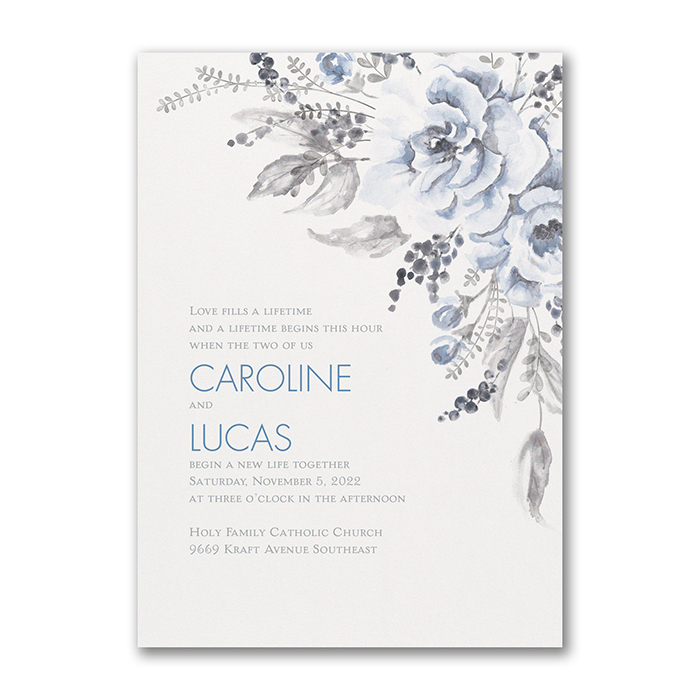 Complete your wedding invitation with matching RSVP, wishing well or additional information cards created to complement this soft floral design. 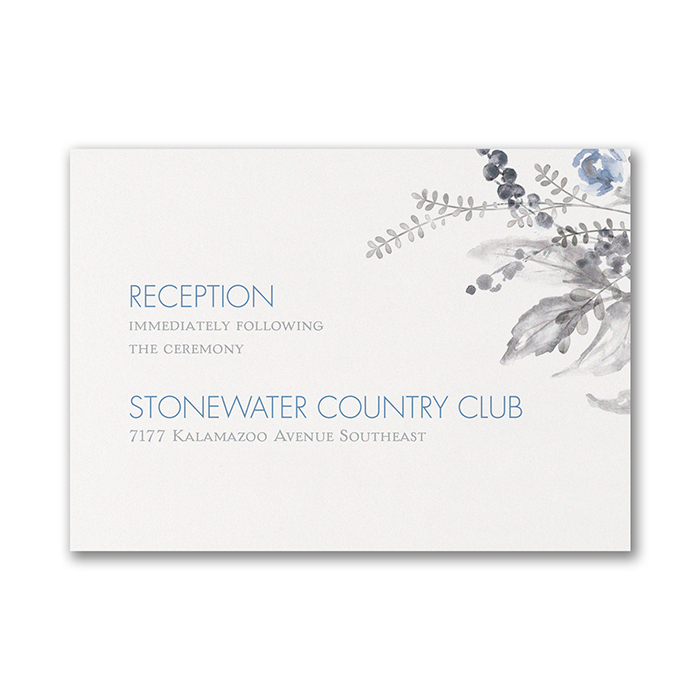 RSVP cards are also created from the same thick matte white card used for the main invitation. 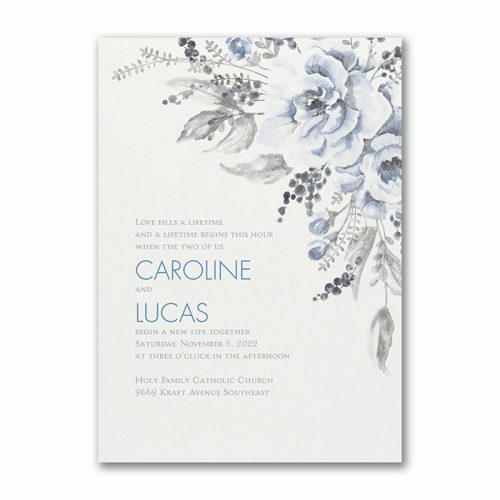 Each RSVP is then printed with a complementing soft blue floral design matching the main invitation. RSVP wording will be printed in your ink and font selection. Each RSVP card also comes with a matte white envelope pre-printed with your return address details in flat black ink. 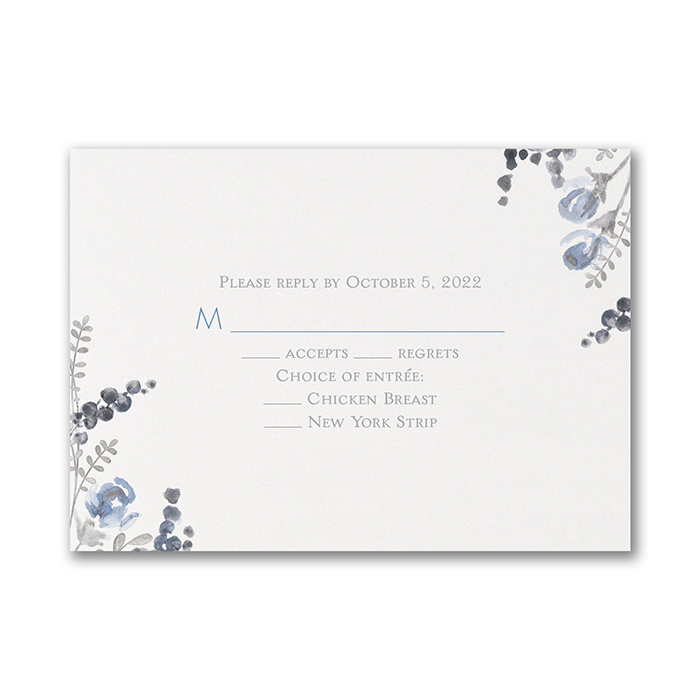 Wishing Well or Additional cards are also created from the same matte white card used for the invitations and is printed with a similar soft blue floral design as the RSVP to keep it consistent yet different. 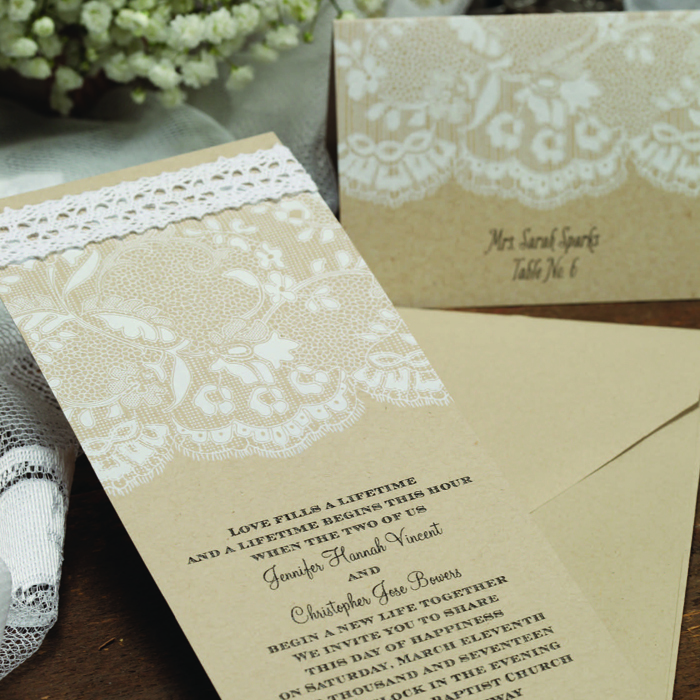 Add an envelope liner to give your invitations an extra special touch. Each envelope liner comes printed with the same soft floral design as the invitations along with an adhesive strip ready for DIY assembly. Discounts are available for our Soft Floral wedding invitation suite, see the ‘Pricing & Discounts’ tab below for more details. Orders of 70+ will have quantity discounts automatically applied at check out, no coupon required. Please note, discounts will not show on this page you will need to add the items to your cart. 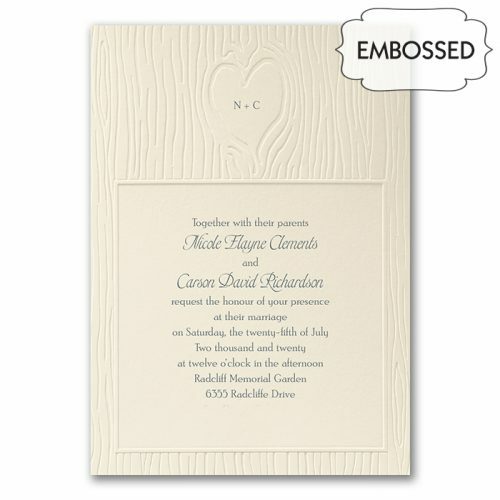 Included is your double sided printed wedding invitation with blank white envelope. Select any additional cards and features you would like to include to create your personalised invitation suite.